In 1887, the first “B” Block was wooden framed structure which provided living accommodations for new Force members in training. In view of the harsh winters, a brick exterior was added thereafter. It was only in 1893 that electricity was installed and flushing toilets in 1907. 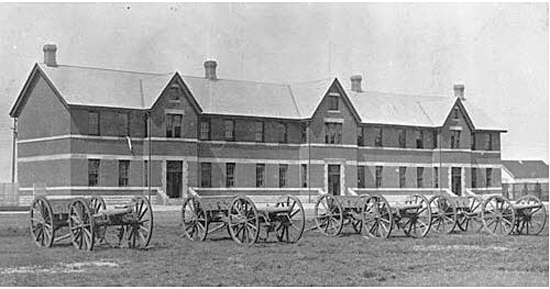 1887 – 1933 – Photograph of the original RCMP Depot Division’s ‘B’ Block (Source of photo – Ric Hall’s Photo Collection). In 1933, a third floor was added to “B” Block and the building remained in use until it was torn down and a new “B” Block was constructed in 1956 which remains in use today. With the increased demands for more recruits, other blocks were constructed. 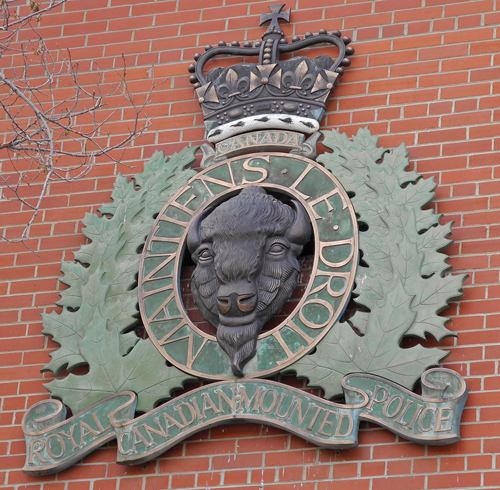 Photograph of the 2nd “B” Block at the RCMP Depot Division in Regina (Source of photo – Ric Hall’s Photo Corner). The new “B” Block was a significantly bigger building with three stories and a basement. Building consisted of an extended ‘u’ shape. For both the old and new “B” Block, it was the temporary home for thousands of new Force recruits. Within these structures, recruits were grouped together by their troops. Ric has provided below some typical images of Force recruits living in “B” Block. 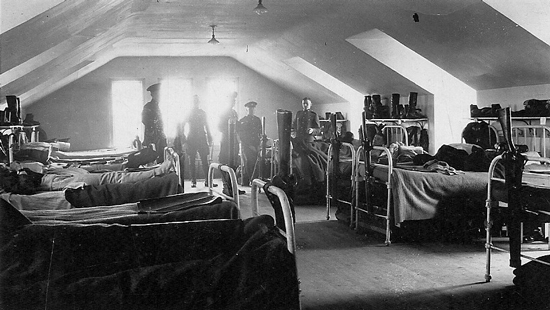 1920 – Photograph of RCMP members in the original “B” Block dorm (Source of photo – Ric Hall’s Photo Collection). 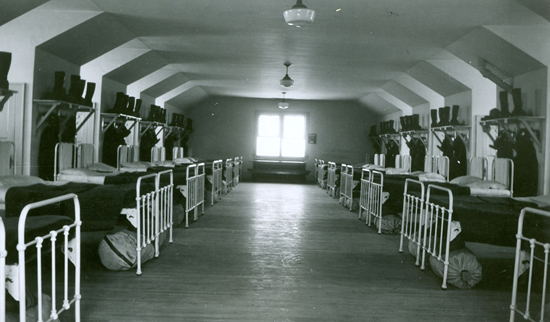 Photograph of the interior of the original ‘B’ Block dorm at Depot Division in Regina (Source of photo – Ric Hall’s Photo Collection). 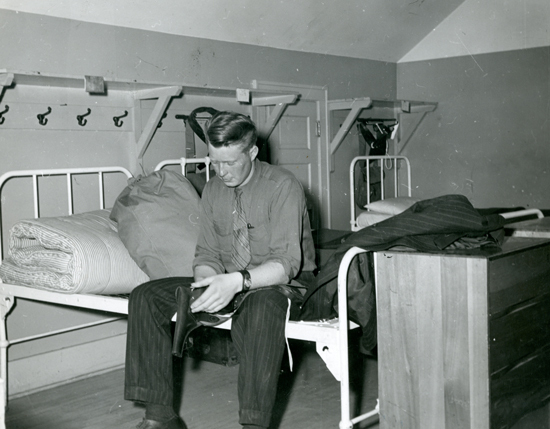 Photograph of a RCMP recruit sitting on his bed in “B” Block at Depot Division in Regina (Source of photo – Ric Hall’s Photo Collection). 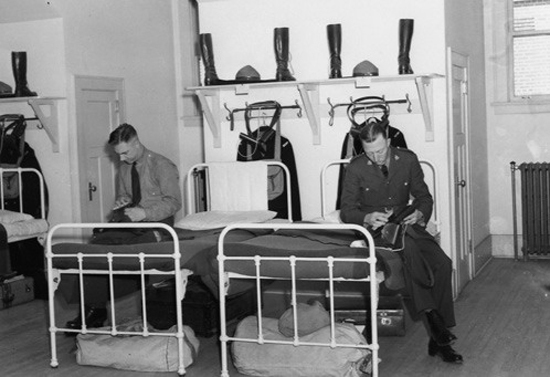 1930 – Photograph of RCMP members sitting at their bed polishing their kit. Photo taken in original “B” Block at Depot Division in Regina (Source of photo – Ric Hall’s Photo Collection). 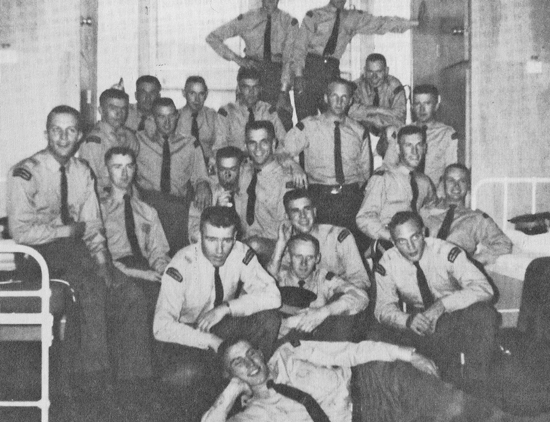 A typical troop photograph of recruits in their “B” Block dorms at Depot Division in Regina (Source of photo – Ric Hall’s photo collection). 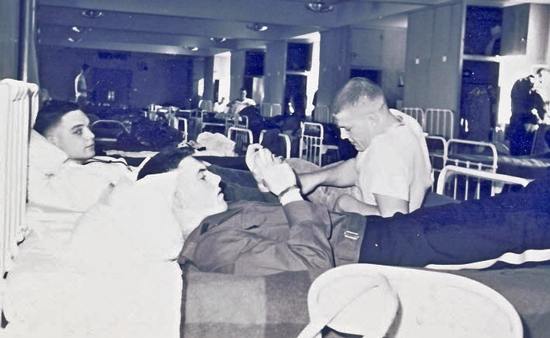 A typical photograph of RCMP recruits resting in their “B” Block dorms at Depot Division (Source of photo – Ric Hall’s Photo Collection). 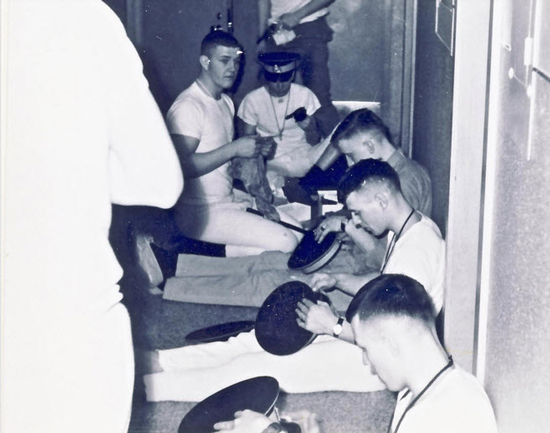 A typical photograph of RCMP recruits clean and polishing their forge caps in preparation for the next day. Photo was taken in one of the “B” Block dorms. (Source of photo – Ric Hall’s Photo Collection). If you have old photographs that you would like to include in a future Photo Corner, please email Ric Hall at rshall69@shaw.ca. Ric will scan the photograph and return the original to you. Ric’s Photo Corner is one of most popular webpages.